Good experience in smoke and sanity testing. Good experience in integration and system integration testing. 1-3 years of experience in Manual Testing of Web and Windows Based Applications. Testing Web-Based Applications Experience is a must. Must know SQL queries so as to see the interaction of Frontend Application with Database. Must have good Aptitude and Understanding of Business Logic of Websites. Understand the Requirements thoroughly and should be able to build all Test Cases for different types of scenarios and based on business logic. 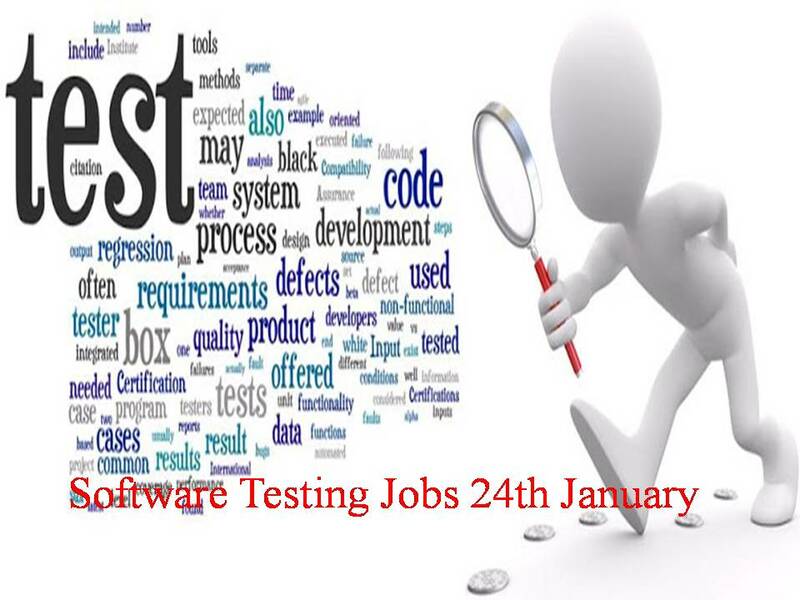 Immediate Requirement for Software Test Engineer. Salary: INR 3,50,000 – 3,75,000 P.A. We are looking for a 4 to 6+ years experienced, skilled and energetic automation testing resource to join our testing team. As a automation test specialist, they should designing, implementing and maintaining automation scripts for the Web applications. Address: Cognizant Technology solutions – KNC (GMR) No 5/639, Varalakshmi Tech Park, Kandanchavadi, 3rd Floor, Old Mahabalipuram Road,Perungudi, Chennai – 600096 Landmark: Behind Apollo Hospital. Guide team members in testing and IoT devices configuration . 24th and 25th Jan, Time: 1.00 Pm.